Andrew Morgan, 40, is passionate about the greatness of God. Born overseas to missionary parents serving with the IMB, Andrew spent the first 19 years of his life living in Bulawayo, Zimbabwe. Through the faithful testimony both in word and action of his parents, Andrew came to know Christ and to desire that the glory of God be declared to all nations. Andrew shares this abiding passion with his wife Melinda, whose parents also served the Lord with IMB in Germany for over 20 years. Andrew and Melinda met during college at Ouachita Baptist University and upon graduation they married. They have been married now for 17 years and in that time have served the Lord in a variety of roles. 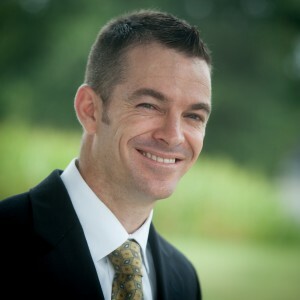 Most recently Andrew has been serving as Pastor, a position he now fills at Immanuel Baptist Church in Salisbury, MD. Andrew longs to lead himself, his family and others to fulfill the Great Commission. He is passionate about teaching God’s Word and disciple-making both locally and globally. Andrew and Melinda are the proud parents of Alena, Josiah and Tabitha.